Dr. Jonathan Wells is a Senior Fellow at the Discovery Institute’s Center for Science and culture. He holds Ph.D.s in Molecular and Cell Biology from UC Berkeley and in Religious Studies from Yale. Sean McDowell: Welcome to the podcast Think Biblically, conversations on faith and culture. I'm your host, Sean McDowell, professor of apologetics at Talbot School of Theology, Biola University. Scott Rae: And I'm your co-host, Scott Rae, dean of faculty and professor of Christian Ethics also at Talbot School of Theology, Biola University. Sean McDowell: Today we're here with a friend of Biola who many of our listeners will recognize; Dr. Jonathan Wells. 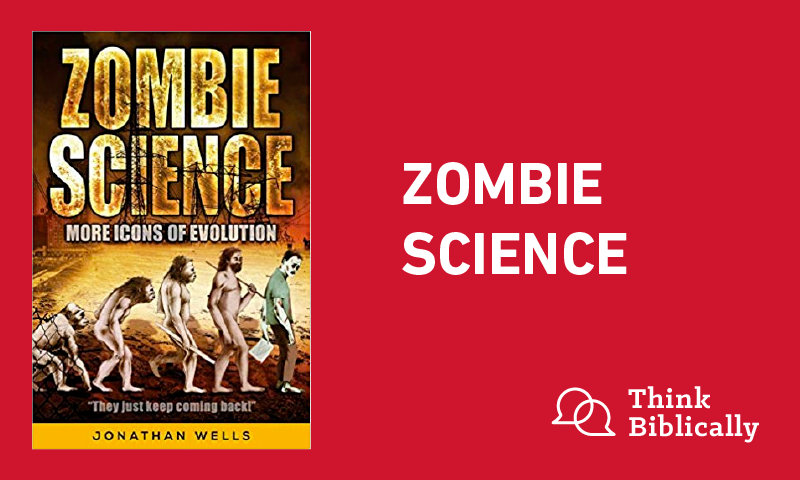 He's the author of a number of books, including Icons of Evolution, and his most recent one, we're going to talk about today; Zombie Science. He has earned a PhD in molecular and cell biology from UC Berkeley, and a PhD in religious studies from Yale University. So, clearly has the experience and knowledge to talk about the subject we're addressing today. Dr. Wells, thanks so much for coming on the show. Jonathan Wells: It's a pleasure to be here, Sean. Sean McDowell: Let me start by asking you this question. How did you become a Darwin skeptic? I mean, especially studying at Berkeley. How did you come to doubt the standard story we often hear about evolution? Jonathan Wells: Well, I was actually at Berkeley twice. I was there as an undergraduate in the late 60s, and when I graduated with my bachelor's degree in 1970, I was both a Darwinist and a leftist. But the increasingly violent behavior of my leftist colleagues repelled me, and I literally headed for the hills. Eventually, I built a small cabin in the woods in northern California. Surrounded by the beauty of nature, I realized this could not have all happened by accident, as Darwinian evolution would have us believe. From there, I started reading the Bible. I prayed. I ended up at Yale studying theology, where I focused on the 19th century Darwinian controversies. Sean McDowell: Jonathan, you came out and spoke at an event I hosted on the case for creator maybe 15 years ago, and I remember at that point, you were pretty sanguined and positive about the Darwinian ship was sinking, so to speak. Are you as positive about that today? How do you assess where the Darwinian world view is in terms of our culture and in academia? Jonathan Wells: Well, in the minds of most people, it still dominates. But I can see from the evidence and the behavior of Darwinists themselves that the ship is sinking. Actually, the metaphor I use in Zombie Science is I compare it to spring ice. When I grew up in the northeast, during the winter, my friends and I would skate on a nearby pond. But as spring approached, the ice would become filled with melt water. And although it still looked thick, we knew it wasn't safe anymore. I compare Darwinism to that. It's like spring ice. It looks thick, but it's melting from the inside. Scott Rae: Jonathan, I'm sure you're aware that lots of people in religious circles, particularly Christian, have moved in the last three or four decades to more of an embrace of theistic evolution, or some form of evolutionary creation, some form of theistic evolution. What do you make of the church's recent push to more advocate for theistic evolution as a way of resolving some of the tension between faith and science? Jonathan Wells: Well, I think it's deeply misguided. In fact, as I said to an audience of theistic evolution several years ago, they're hitching their theology to a falling star. It's a mistake. They think they're embracing science, but Darwinism is not empirical science. It's not based on evidence. It's basically materialistic philosophy masquerading as science. As part of a large PR campaign on the part of the Darwinists and their friends, a lot of people connected with churches and divinity schools have fallen for that. It's sad, sad to watch. Scott Rae: Let's give a summary case, I think, that you make in your book. A summary case of why should people today have doubts about the Darwinian narrative? Jonathan Wells: Well, my main argument against Darwinism is it does not fit the evidence. If you look at textbooks on biology, the chapters of evolution rely on examples that either ... Well, they show one of three things. Either they show minor changes within existing species, which of course are not at all controversial. But that's a lot different from what Darwin wrote about. They might also show that there's a history to life. Things that lived in the past are not the same as the things that are alive now, and that's true, too. But then these books go on to make the argument that these really irrelevant evidences prove that we got here by chance and necessity. We were not created by God. We are actually a byproduct of unguided evolution. And that's the third point, and I think it's wrong, and that misrepresents the evidence to convince people. I find that when I look at the evidence supposedly for Darwinian evolution, it's either misrepresenting, exaggerated, or in some cases, actually faked. Sean McDowell: The title of your book is Zombie Science, and the subtitle is More Icons of Evolutions. You didn't say More Icons of Darwinian Evolution. I'm curious if you could do a couple things for me. Could you define what you mean by evolution, in particular, Darwinian evolution? And are you critical just of Darwinian evolution, or really any kind of naturalistic form of evolution? Jonathan Wells: Well, I explain in the beginning of the book, it's true, I used the term evolution in the title. But I explain as I did a minute ago that evolution can mean many things. Many of them are uncontroversial. Darwinian evolution, in particular, is the idea that all living things are modified descendants of common ancestors, and that the modification has been due entirely to unguided natural processes. And that, I find to be first of all, doesn't fit the evidence. And second of all, it gives every sign of being materialistic philosophy in disguise. So it's that particular meaning of evolution that I criticize. Sean McDowell: We want to get into some of the particulars of your critique that I think would be really helpful for our listeners, but first, I'm curious if you'd be willing to share how doubting Darwin so publicly in speeches that you've given, in your book Icons of Evolution and now Zombie Science, how has it affected your career, and even your personal life? Jonathan Wells: Well, unlike many of my friends who have in many cases lost their jobs by doubting Darwin, I was early on recruited by the Discovery Institute in Seattle, back in the late 90s, who wanted a Darwin skeptic. Discovery Institute is a worldwide center of intelligent design and criticisms of Darwinism, so I'm right at home here, and my employment has never been at risk. On the other hand, I have attracted a lot of nasty language. In fact, back in 2002, after Icons came out, my colleagues at the Discovery Institute gave me a mock award. It's for being the most hated man in America. Jonathan Wells: Which I have hanging on my wall. I'm very proud of it. Sean McDowell: Now, did your Berkeley roots give you any ability to just kind of deal with that harsh critique? Jonathan Wells: Well, first of all, I was a Berkeley leftist, so I got a pretty thick skin out of that. And then when I became a believer, that of course gave me some inner strength that I didn't have before. It's not necessary to be a Christian to think that intelligent design is reasonable, but if you advocate intelligent design, it sure helps to be a Christian, to withstand the avalanche of abuse that comes with it. Scott Rae: Jonathan, I think it'd be helpful for our listeners, I think, to be a little more specific if we can about some of the presumed evidence for evolution that you have doubts and questions about, what are some things that are traditionally argued as evidence for evolution that you think are either exaggerated or just simply not true? Jonathan Wells: Well, Darwin thought the best evidence for his theory came from embryology, and he relied on eventually a series of drawings made by his German friend, Ernst Haeckel that show the embryos of animals with backbones, vertebrates, ourselves included, as all starting out their development looking like little fish. Because of our resemblance in early development, Darwin thought, this is evidence that we all come from a common ancestor by natural mechanisms. Well, Haeckel's drawings were actually faked. We don't look alike as early embryos. Haeckel left out the early stages, and when you put them in, it's obvious that the whole argument falls apart. That's one example. That one happened to be a fake. Another example that was widely used for years was peppered moths. These were light and dark colored moths in England, and when the industrial revolution darkened tree trunks, the dark moths were better camouflaged and the light moths got eaten by bird, so the theory went. And that was in all the textbooks for years, until biologists realized that the moths don't naturally rest on tree trunks in the wild. I mean, sometimes they do, but not normally. So that story unraveled, and yet the textbooks kept using ... in fact, some still do, photos of light and dark moths resting on light and dark tree trunks. Well, those photos have all been staged. So those are two examples of egregious misrepresentations. But if you look at anything, any of the evidence for Darwinian evolution, for example, the tree of life. The only drawing in Darwin's Origin of Species was a tree-like diagram, supposedly showing how we all branched off from common ancestors. Well, the best modern evidence for the tree of life was thought to come from genetics, from DNA. But the more we learn about DNA, the more the tree unravels. For example, in the last few years, biologists have discovered thousands of cases of what they call orphan genes. These are genes with no resemblance to genes in any other group of organisms. They appear to have just sprung into existence, rather than descended from a common ancestor. These are fragmenting the tree of life right now, yet students aren't taught that. Scott Rae: Let me ask you just one ... That's helpful. One question I know that comes up often among some of our students, and people who are wrestling with Darwin, and that is the notion of common ancestry. Often, the question comes up; why couldn't common ancestry be consistent with a common divine blueprint for life that came out of creation? Jonathan Wells: So that becomes a problem. Scott Rae: So would it be fair to say that the notion of common ancestry by itself ... We say nothing necessarily follows from that, about whether you have unguided evolution or intelligent design? Scott Rae: That's a ... Okay. Jonathan Wells: In fact, when I returned to Berkeley in 1989 to get a PhD in biology, I accepted common ancestry. I was an intelligent design advocate. I didn't believe in the unguided part, but I had no qualm with common ancestry. But then as a graduate student at Berkeley, I got a good look at the evidence, and that's when I became a skeptic of common ancestry, based on the evidence. Sean McDowell: Would you share some of that with us? Because what I've heard, and it seems to me some of the most persuasive for common ancestry is the genetic evidence. How do you make sense of some of that, that people often put forward? Jonathan Wells: Well, as I said a minute ago, a lot of that is misrepresented. The more we learn about DNA, the more the tree unravels. There are so many inconsistencies in the tree. If we really were descended from a common ancestor, you would expect certain things about the genetic continuities between us. Yet those continuities are evaporating. Certainly, there are some. But in order for Darwinism to be true, you have to have a consistent tree, and we don't. It keeps falling apart. Sean McDowell: I want to ask you some of the more common icons you respond to in a minute, kind of for your Twitter responses to those. But first, you started the book with a fascinating story about the quote, "war on eggs." I put the book down when I read it. I went and talked to my wife, because I thought, "Oh my goodness. I have totally believed this, and you just shattered it." Talk about that example, the war on eggs, and how you apply it to this question of evolution. Jonathan Wells: Well, I started with the war on eggs because it was an example of what's called scientific consensus. For the last half of the 20th century, we were told by scientists and the government that eggs were bad for us, at least whole eggs. Well, that turns out not to be true. When you look at the history of science, there are many, many examples in which the scientific consensus turned out to be false. For example, the consensus that the sun goes around the Earth, or the consensus that maggots spontaneously generate in garbage, or the consensus that ... I mean, I could go on and on. It's just one after the other. The consensus that the continents were always in the same places they are now. So, scientific consensus is really just a majority opinion poll of prominent scientists at the time. Sometimes they're right, and sometimes they're wrong. The ultimate arbiter has to be the evidence, not the consensus. Sean McDowell: Let's go back to some of the icons you respond to, and I'll throw out maybe three or four to you, and if you can explain why these are often considered pieces of evidence for evolution, and then the response that you give why you don't buy it. The first one, I've been asked this quite a bit, is archaeopteryx. Jonathan Wells: Okay. Archaeopteryx is a genuine fossil. In fact, it's a beautiful fossil of an ancient bird with claws on the ends of its wings and teeth in its beak. It was discovered in Darwin's lifetime, and thought to be the missing link between ancient reptiles and modern birds. Well, experts on bird evolution, even Darwinists, no longer believe that archaeopteryx was the ancestor of modern birds. It's just anatomically too different. Furthermore, most evolutionary biologists who try to sketch the history of birds put archaeopteryx in the wrong place in the fossil record. I mean, it's in the place where it is, but it's in the wrong place to make the story come together. They rely on other fossils that come later, and what they call ghost lineages to make the story hold up. So, archaeopteryx is a beautiful specimen, but is not really part of the story of evolution in the larger sense. Sean McDowell: What about whale evolution, another example I'll hear somewhat frequently? Jonathan Wells: Sure. That's increasingly popular in textbooks. In Darwin's day, there were two species of fossil whales known, and they came later in the fossil record than land animals. So it was assumed, and Darwin assumed this, that whales evolved from land animals. But there were no intermediate fossils for a long time, so it was a problem. Then in the 1980s, fossil experts discovered some fossils that appeared anatomically to be intermediate between land animals and whales, and they announced ... Actually, Stephen Jay Gould said many years ago before he passed away, this was the most beautiful series of transitional fossils an evolutionist could ever hope to see. But the fossils actually looked more like otters and sea lions than whales. There's quite a difference between them and fully aquatic whales, who spend their entire lives in the water. And second of all, each of these fossils has features that it would have to lose to morph into the next step in the ladder. So, the fossils make nice illustrations for a story, but no one has explained how one would turn into another with any kind of conviction. Sean McDowell: Let me ask you one more on this note. What about antibiotic resistance? Jonathan Wells: Well, it's a real medical problem. If you treat that certain bacteria with an antibiotic, a few of them might be resistant and survive the antibiotic. So in the next generation, you have antibiotic resistant bacteria, and this has become quite a medical problem. It happens. It's true. But it's an example of micro-evolution, the minor changes within existing species that I mentioned a few minutes ago. Antibiotic resistance, tuberculosis bacteria, for example, are a medical problem. But they're still tuberculosis bacteria. They haven't turned into another kind of bacteria, much less something more complex. So, it's a good story. It's actually true in this case, but it's essentially irrelevant to the story of Darwinian evolution. Scott Rae: Jonathan, I think some of our listeners at this point may be wondering that if the evidence is so poor for unguided naturalistic evolution, as you make the argument in your book that it is, why do so many people still accept it? Jonathan Wells: Well, I think in most cases, people just want to go with the flow. Most scientists I know have a research program. They want to do their research. They want to be left alone to do it, and they just want to stay out of the mess, the controversy. So, they believe in Darwinian everything, but not because they've given it any thought, really, or looked at the evidence. Then there's another group of people who are dogmatic Darwinists, who actually are loud enough to ... It sounds like they're speaking for the whole scientific community, when actually they're not. But they believe in Darwinian evolution, because it's materialistic. In many cases, they've written about this. Richard Dawkins, for example, is committed to Darwinian evolution because it allows him to be an intellectually fulfilled atheist. As I said a few minutes ago, turns out that Darwinian evolution is actually applied materialistic philosophy rather than empirical science based on evidence. And that's a big reason why it's being pushed; it fits the spirit of the times. Scott Rae: Is there any evidence for unguided naturalistic evolution that gives you pause? 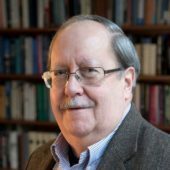 Jonathan Wells: Years ago, there used to be, but not anymore, because each example I look at turns out to be, as I said, misrepresented, exaggerated, or downright fakes. So every now and then, I've run into something supposedly new that seemed to make the case. I have to say, well, if I see the evidence, I'd have to change my mind. That's my commitment as a scientist. But in every case, when I looked at the evidence, it has turned out to be misleading or false. Scott Rae: So why do you think the theistic evolutionists, like [inaudible 00:22:28] and folks like that, are so passionate in defending Darwinian evolution and trying to marry that with Christian theology? Jonathan Wells: Well, individual motivations, of course, are hard to describe unless someone talks about them directly. But nobody wants to see Christianity as the enemy of science. Not good science, anyway. And since currently Darwinian evolution appears to be the scientific consensus, a lot of people mistake that for real science, and they don't want Christians to appear to be critical or opposed to that. So they want Christians to accept Darwinian evolution to be good members of the society and not make waves against science. But in fact, this is not science at all. Sean McDowell: ... was asked why, if the Haeckel's embryo has been disproven for years and known to be disproven, even in 1997 in science magazine or journal, it was distinctly said that it's turned out ... Michael Richardson said it's turned out that they're fake. So this has been known for over two decades. Yet, a couple months ago, you emailed me some recent textbooks that still include Haeckel's embryos. Now, Eugenie Scott was asked, "Why do they keep showing up in textbooks?" And she gave two reasons. She said, "Number one, they're cheap and easily available drawings." Second, she said, "They teach a principle we otherwise know is true." Is this the standard response you're getting. I mean, why is it allowed in textbooks that these false, or at least not fairly represented icons, keep showing up? Jonathan Wells: Well, I think Eugenie's response is accurate. First of all, in many cases, they're easy. Textbook publishers are not eager to revise textbooks year to year, so they keep reusing things, even after they've been proven false. It's not always the scientists' fault, although scientists put their names on these books as authors, and should've stopped the practice. The other thing is, Eugenie's claim that these illustrate a story that we know to be true, well, how does she know it to be true? In science, we can't know it to be true unless we have evidence. If the supposed evidence for the true story turn out to be false, then we have to question the story as a whole. Sean McDowell: Jonathan, I think that's a very fair way to look at it. Let me ask you this last question. Are you working on any other projects related to the topic of evolution right now, moving forward? Jonathan Wells: Well, I've been working for the last few years and I'm still working on the fact that DNA does not control living things. Neo-Darwinism, the modern form of it, needs to push the idea that DNA contains a program for us, so that when DNA mutates, the program changes and we evolve. But it turns out there's a lot more to living things than their DNA. DNA is essential, of course, but it does not contain all the information needed by a living cell, much less a living embryo. So, I've been working on that, publishing articles and book chapters. In fact, I have a chapter in the theistic evolution book about that, that just came out. So, that's my current project. Sean McDowell: That sounds great. Well, that'll give us an excuse to have you back on in the future to discuss it when you finally publish a book on that. Dr. Jonathan Wells, thanks for joining us. Thanks for being a voice of I think reason and courage and pushing back on typical narratives that are in our culture today. I know you've taken a lot of fire for this and are arguably the most hated man in America, but I've seen you respond generously to people, so we appreciate both your arguments and the way that you engage with people that differ with you. I want to thank you for coming on, and also encourage our listeners to check out a copy of Zombie Science. My five year old son picked up the copy. He goes, "Dad, is that a zombie? What is that saying?" And I tried to explain it to my five year old. I think he got the basic idea, but regardless, all listeners who want to understand the issue of evolution, I encourage people to read both sides. Read Dawkins' book, and pair it with your book, Zombie Science, and I think they'll find that the evidence is not as strong as we typically hear today. Jonathan, thanks for coming on the show. Jonathan Wells: It's been a real pleasure. Thank you for having me. Sean McDowell: This has been an episode of the podcast Think Biblically, conversations on faith and culture. To learn more about us and today's guest, Jonathan Wells, and to find more episodes, go to biola.edu/thinkbiblically. That's biola.edu/thinkbiblically. If you enjoyed today's conversation, give us a rating on your podcast app and share it with a friend. Thanks for listening, and remember, think biblically about everything.